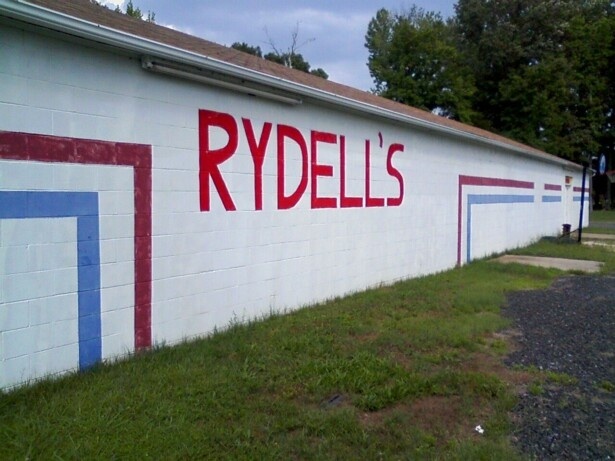 Rydells used to be an auto parts store located behind DeAtley's Service Center. 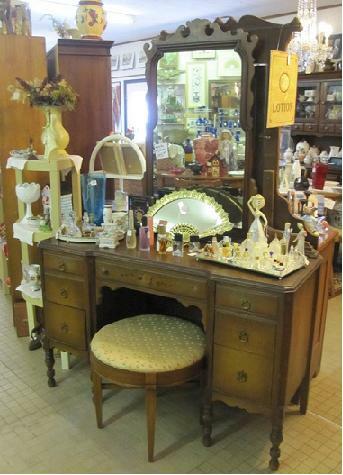 Then, a number of years ago it became this great little place to hunt for vintage treasures. I have to admit, whenever I see the sign as I drive by, I'm reminded of the "Rydell High! Beat the Cavaliers!" chant from the old Grease movie. 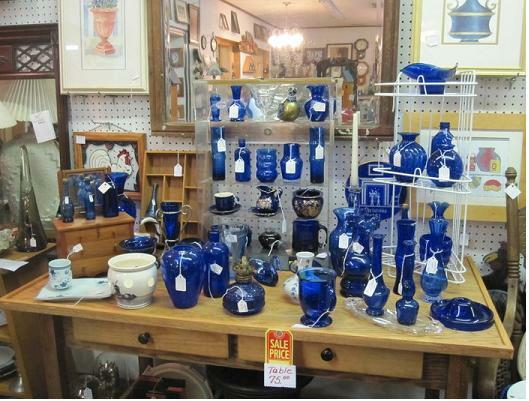 That film is a classic, and you'll find classic items and other fine antiques here. You can shop at Rydells while you're waiting for your car to be serviced next door! The shop is owned by Karen Peyton and her husband and it carries household items, collectibles, furniture, DVD's, CD's, VHS, books, clothing, toys, fishing rods, tools, jewelry and so much more! Their prices are pretty reasonable, too. I was able to visit here recently and I was amazed at how large the store is and how many items they have. Everything is very well organized by category and very well presented. They also make custom furniture, so give them a call! Some of their craftsmanship is displayed at the store, such as a very cool bar with barstools, stepstools and other assorted furniture pieces made by them. My favorite is a cooler with an enclosure around it to make it look like a side table. It is really cool - literally! Store hours vary and are seasonal. Check out their huge Saturday morning yard sales! They are located not far from President James Monroe's Birthplace across the main road from Hall's Supermarket and behind DeAtley's Service Center on Rt. 205. The address is 2605 Stoney Knoll, Colonial Beach VA 22443 and their phone number is 804-925-5879. Here's a map. 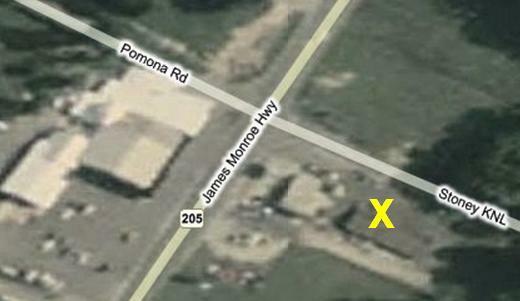 The "X" marks the spot.